Ever since I was a little girl, I dreamed of visiting the Walt Disney World Resort in Orlando Florida. As a teenager I won a trip to Disney World in Orlando. This was back in the day where they still had actual tickets that you had to use to get on the rides. Times have changed and tickets have not been required for many years. Now you simply swipe your wrist and your Disney MagicBand along with your finger recognition software to enter the park. 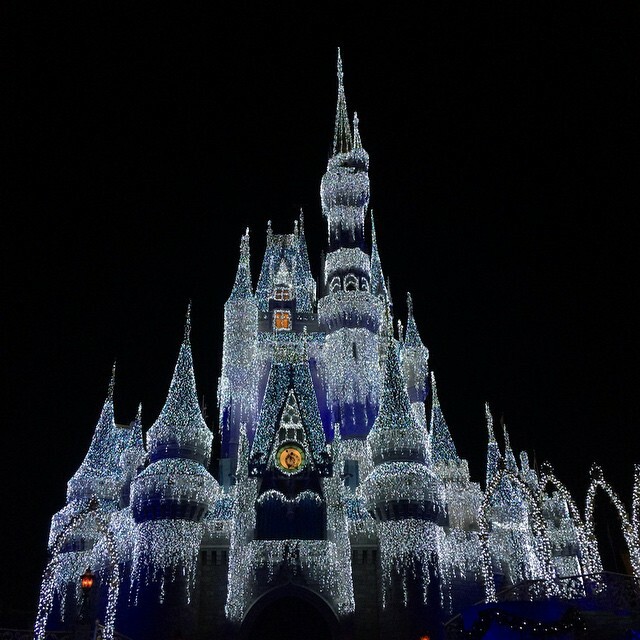 Tonight was the first night of “A Frozen Holiday Wish” at Disney’s Magic Kingdom. This new show on the Castle Forecourt Stage offers special appearances by Kristoff, the adorable mountain man and Olaf the lovable snowman. Queen Elsa will transform Cinderella Castle into a gillmering ice palace. Don’t miss “A Frozen Holiday Wish” at the Magic Kingdom at Walt Disney World Orlando. The new show runs from November 5th through December 31st, 2014. You don’t want to miss this. I learned the value of spending quality time with family after the untimely death of my brother at age 42. Don’t take your family or your health for granted. I am thankful for the opportunity my network marketing business allows me to enjoy quality time at Walt Disney World and other family vacations. I am able to work from home and can work on my schedule. If your dreams are bigger than your paycheck, we should talk. I am Lynette Henk, Gold Executive with Well Beyond Chocolate Worldwide. I can be reached at 941-216-5727 or at my website LiveForChocolate.com. NextJust 50 Days Til Christmas at Walt Disney World Resort Orlando: Are You Ready?